Big family or not, this nearly 2, 000 sq. 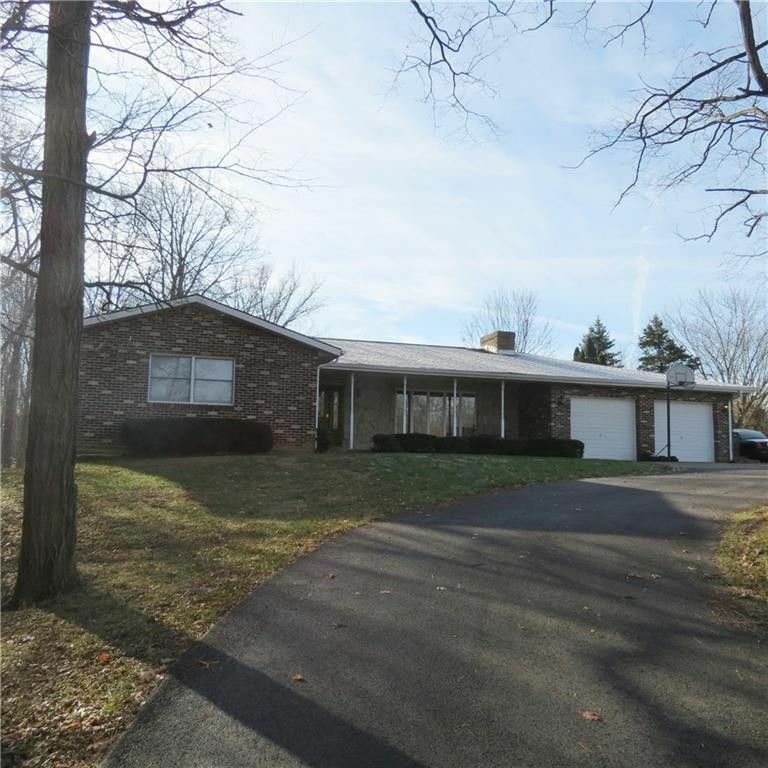 ft. brick ranch with its finished walkout basement might just fit! The covered front Farmer's porch is ideal for welcoming family and friends. The entry opens to the main great room with its brick fireplace/wood stove wall & then on to a large dining room. The updated kitchen has extraordinary storage options & all of the kitchen appliances. There are 3 nice sized bedrooms & 2 full baths. The two car garage is attached & allows for storage. The finished lower level has the second fireplace/stove, a game room & media area, two private bedrooms & a half bath plus a modest partial kitchen with a bar & a nice sized workshop room. The home is on a wooded 2.6 acre lot with a very ample turn around & parking area. This home is neutral in decor, features many rooms with laminate floors, and has central heat and central air plus back up electric baseboard. A fine home...wide halls & few entry steps...will adapt to most family situations.